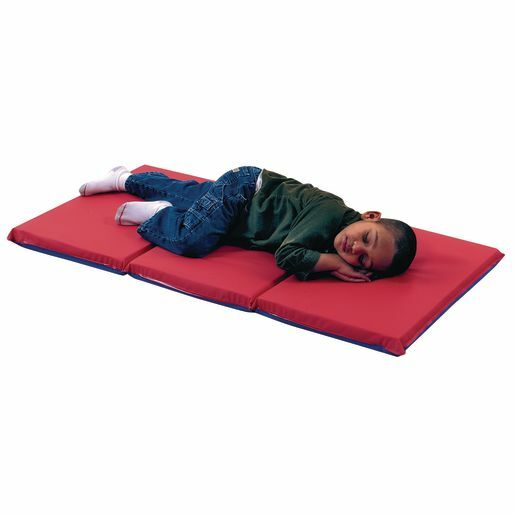 X-tra wide radio frequency sealed seams prevent germs and bacteria from infiltrating or migrating within our mats, protecting the child against possible infection from harbored germs. Using a water diluted bleach mixture sanitizes all surfaces to prevent external contamination. Box of 5, 2" thick mats each measure 24" x 48". Blue and red two-tone color. 3-year warranty.